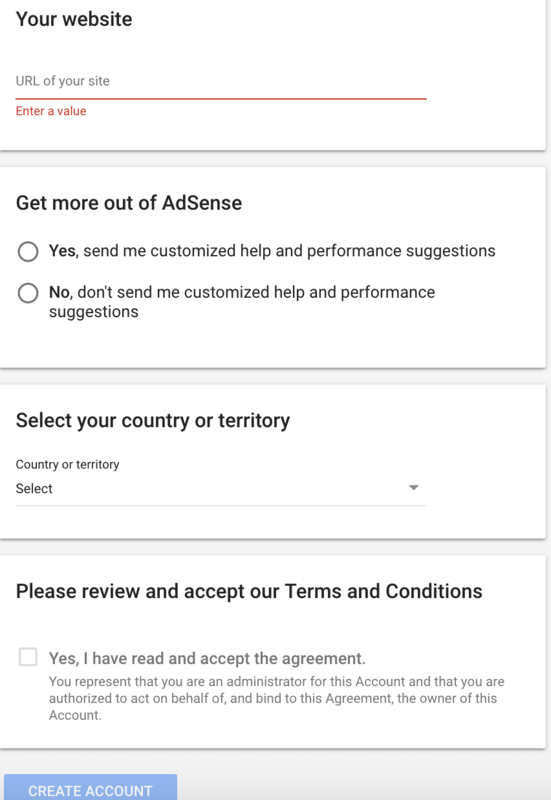 How to Start Making Money With Google Adsense in 2019? Google Adsense is one of the most favorite blog monetization methods of bloggers and webmasters to earn money online on internet. A majority of website owners, especially bloggers look forward to getting their Adsense accounts approved in the beginning of their career in search of How to make money with Google Adsense in 2019. 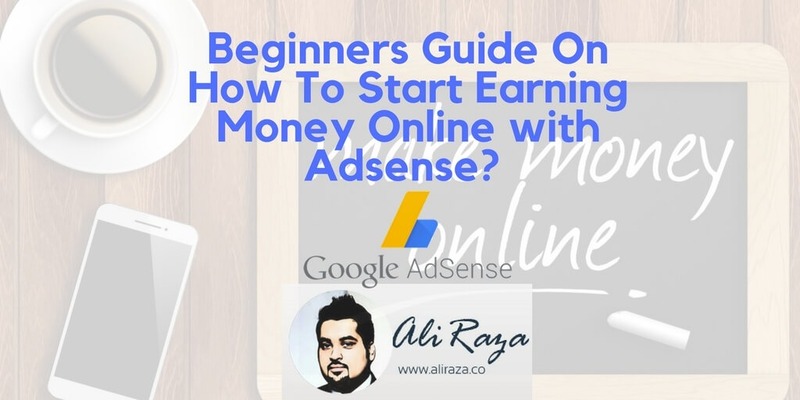 In this article, I’m going to break down the process of earning money with Google Adsense – it might help you kick start your money making adventure with Adsense in a better way. But let’s not forget that Google Adsense is undoubtedly a leader in PPC ads publishing, but don’t ignore other monetisation methods such as affiliate marketing and freelancing. It’s true that almost every successful blogger starts the blogging journey with Google Adsense and lots of bloggers who are joining the arena are still doing the same thing, and interesting thing is that they want to grasp the Adsense opportunity more than ever. So when I observed so much attention on Google Adsense program, then I decided to shed some light on this topic and I hope my suggestions will help you start your Google Adsense earning very soon. Yet if you want to read on Affiliate marketing instead, then checkout my affiliate marketing guide. 1.12 What are the different ad units for adsense? 1.16 How Google Adsense Pay You? 1.17.1 Why Is my Google Adsense Application still under review? 1.17.2 How I’m Paid via Adsense? 1.17.3 How long does it take for AdSense to pay you? 1.17.4 Does my blog qualify for AdSense or not? 1.17.5 How to Place Adsense on Your Website? 1.17.6 A Site is Violating Adsense Policies, what to do? 1.17.7 What is the Maximum Allowed AdSense Units On A Single Page? 1.17.8 How much i can earn with Google Adsense? 1.17.9 How much does AdSense pay per 1000 views? 1.17.10 How much do you earn from Google AdSense? 1.17.11 How do I increase my adsense clicks? 1.17.12 How do i increase my CPC on Google Adsense? 1.17.13 How can I make 50$-100$ per day from Adsense? 1.17.14 I’m earning very less amount with Google adsense, what should i do? 1.17.15 Does Adsense Suspends Account? 1.17.16 Can I earn through self clicking? This is going to be a step by step procedure, let’s start with things to do before applying for Google Adsense. Well, let me honest, Adsense isn’t easy now a days. Things aren’t like once they were back in 2006, 2007 and 2008, it’s 2019 now, but the good thing is you aren’t alone! You must be of 18 years old with having a national identity. If you are younger than this, consider writing your parents/guardian name or you may have to open a joint account with your blood relative in a bank to receive checks/payments from Google. Google is not looking for copied, duplicate or already available content in the market. What Google is actually looking for is, Quality content which is not yet already available in the market. It has to be grammatically correct, unique and give’s quality information to the user on the subject on what they are looking for. Checkout My About Us Page. Checkout my reach me/contact me page. While Applying for Adsense, make sure to write the correct home address because Google will be sending you a pin on your mentioned address to cross check. While I have already mentioned about few of the content tactics you need to keep in mind, but there is also one more thing and that is, the niche’s. Below are some of the niches which adsense doesn’t like, so if you have a site in following categories, I don’t recommend adsense. Checkout, which languages are supported by Google Adsense. Fair enough, now let’s start moving on how to apply for Google adsense account. If you already have a Google/Gmail Account, select sign in, otherwise select the green button of signup now. You may have to write down your website/blog url here along with your country and a tick mark to accept that you will be complying with Google adsense policies. Once the form is submitted, you will be asked to wait 24 to 48 hours to see a reply from Google. A big mistakes bloggers make is that they apply to Google Adsense program after a few days of launching their blogs. It’s wrong step to take. Because it’s not about the number of articles you have published, but rather how much traction you’re getting on your blog. It’s better to build some authority, grab attention, and let the organic visitors start to come, then apply for Google Adsense. Don’t worry if it takes 2 to 3 months after launching the blog because it is worth it. There are different places to put the ads on a blog. Try experimenting with placing the ads on different places on your blog. It’s better to test out a set of ads on the certain places for 4 weeks and see what happens after that, then compare it to the next set of ads on different locations of the blog. You might see a change in the Adsense earning. It isn’t a joke, do you know that Bob, Increased his adsense earnings by 80% with one simple technique and it was just changing colours of the ad. Imagine, how just the change of colours has impacted Bob’s business. P.S. Did you see my 10 Ways To Improve Your Conversion Rate & 7 CTA Examples, article? It will help you for sure. The consistency is the key to success. When you write content on a regular basis, the chances of getting your content ranked high in the search engines increases. Similarly, your content could go viral on social media if it suits the specific audience and they start to share it. There are different factors of why a piece of content gets shared on social media. For example, if it solves a specific problem or it is written for a certain group of people or it addresses a mass-level issue or it breaks some relevant news, then it gets a lot of attention. Google Adsense earning depends a lot on the number of visitors and page views alongside the clicks. It means you have to have a bundle of regular visitors on your blog to make money from Adsense. It is advisable to create content in your niche so that it gets more authority over time. On the other side, if you mix up different types of content, you’ll end up ranking nothing and likely to fail to build the authority over time. So focus on your niche and try to cover each and every possible aspect of your niche to make an authority blog. 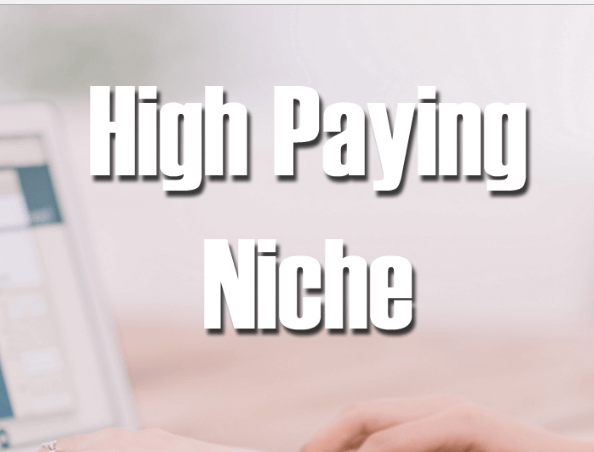 In case, you’re wondering that I haven’t talked about high-paying niches, then the reason for this is that one should be focusing on the niche they are interested in working rather than the high-paying niche that they have no interest in pursuing. The geographical locations of the blog visitors count a lot in Google Adsense earning. It’s a fact that a click from the U.S or UK or Australia can’t be compared to the click from Kenya or Zimbabwe or Bhutan; But the only way to get the visitors from the countries like U.S, Canada, Australia, and UK is to create content that the people of these countries will be interested in reading. There is no shortcut to this strategy. If the majority of your blog visitors are from these countries, your Adsense income is likely to be more from a blog that has an Asian traffic. It might sound irrelevant but it does have its importance when it comes to blog earning. If your blog’s design (theme) is not attractive, readers are not going to stick to your content. In case, you have put together a beautiful design, the visitors will stay longer and likely to engage with your content. If your blog design is less-attractive and lack symmetry, the click-ability would decrease and visitors are likely to spend less time on the site. So pay attention to the blog design at any cost. What are the different ad units for adsense? Here’s a link to complete Google Guide to Ad Sizes, for your references. Recommended Reading : How To Create Your Ad Unit in Adsense? These niche’s are found using Google Adwords, if you are trying to advertise online, then Adwords is the right platform and if you are struggling with Adwords, than checkout my 30 mins guide to optimize your Google Adwords Campaign. Okay, Cool now you have an approved account, now the next are few things which i don’t recommend you to do or avoid them at all costs. Google has strictly mentioned this, in there policies guideline, that you should not click on your own ads at all costs or even asking people to do it, this may seems a good way to earn money in short run, but it will be illegal, unethical and will give you more harm in long run because doing so will result in permanent suspension/termination of your adsense account. If you become greedy and try to do things like sending ads via email, unfortunately this is against Adsense policies so better avoid it. Okay, now I’m not saying that your ad placement should be poor but what I’m trying to say here is that some people mislabel ads with some other things or encouraging visitors to click on the ad without they even know. Adsense is strictly against this. Hosting copyright or duplicated content without linking or taking original author permission is something you need to be concerned on. I even don’t recommend running adsense on autoblogs too, it is completely unsafe. How Google Adsense Pay You? I think this must be one of an exciting question which every one must be waiting to hear on. You will receive payments on monthly basis and it can be shown on Transactions page on Adsense and you will be paid on approx. 21st of next month. For example, for my August earnings, I will be paid on 21st september. You might be having a lot of questions regarding Google Adsense, let me answer them step by step. Why Is my Google Adsense Application still under review? Well, this is one of the most frequently asked question once you submit your Google Adsense Application. Please note that, by default, all applications may take usually 24 to 48 hours on working days. Your site doesn’t pass the standards of Google Adsense. One of your Adsense account has already been suspended/terminated. Your website doesn’t have much traffic. How I’m Paid via Adsense? Majority of your payments will be based on pay per click basis, means you will be paid whenever a visitor on your website founds any advertisement really interesting and initiates the click on the advertisement. Adsense use different algorithm and techniques to determine the value of the click and you will be paid according to that. How long does it take for AdSense to pay you? If you are using adsense for the first time, once you reach $50 in your account, Google Adsense will send a pin code to your home address to confirm your home address. After that, usually the payments of a single month is issued after 15th of the next month, sometimes it may take even longer but majority of the payments are cleared before the end of second month unless and until your payments are on hold. Well, you have to first check it on your own that either your blog qualifies for Adsense or not, I have mentioned some points in detail so go thoroughly with this article before applying. How to Place Adsense on Your Website? Checkout the following video on how to add Google Adsense on your website/blog. A Site is Violating Adsense Policies, what to do? If you have found a website which is violating google adsense policies you can report the site via this link. What is the Maximum Allowed AdSense Units On A Single Page? For years, adsense had a limit of maximum of 3 ad content units but back in August 2016, Adsense lifted this limit, allowing you to place unlimited Adsense ads on your website. There is no limit of how much you can earn, it’s all depend upon your personal efforts, but to give you some sort of motivation and inspiration, let me tell that, Viper Chill earned $100,000 in a week alone from Google Adsense. What are the most popular ways to make money with Google Adsense? Place a Google Search bar on your website and earn when someone searches and clicks on an Advertisement. A website serving an average of 3 pages per visit, each with 2 ad units and an impression CPM of $1 would therefore earn $6 per 1000 visits. CTR : The majority of AdSense bids are per click, so the Click Through Rate of your ad units has a huge impact on revenue performance. Please note that this is rough cost. People often ask me this question,but since i don’t use Adsense on this site so i would like to keep it as a secret. How do I increase my adsense clicks? Work on your CTR to increase clicks which will eventually help you in earning more. How do i increase my CPC on Google Adsense? Your CPC depends on various factors such as your niche, visitors demographics, time spend by them. Place your ads in strategic positions and focus on high quality traffic to make more. How can I make 50$-100$ per day from Adsense? This is a very wide question. Anyone can earn that amount, provided you focus on various factors such as your niche, traffic, quality of visitors and ad placement. I’m earning very less amount with Google adsense, what should i do? Consider focusing on Ad placement and improving the content/quality of your blog. The earning is calculated on various factors as Niche, number of advertisers in your niche, Your visitors country, time spent and their buying behaviour and several other factors. If you violate Adsense policies or if Google feel that your site doesn’t comply with them, they will suspend you. Can I earn through self clicking? Your account will soon be banned if you do this practise. Google is more smarter then what you actually think about him. It means revenue per thousand impressions. How To Make Money from a Blog, without Adsense? 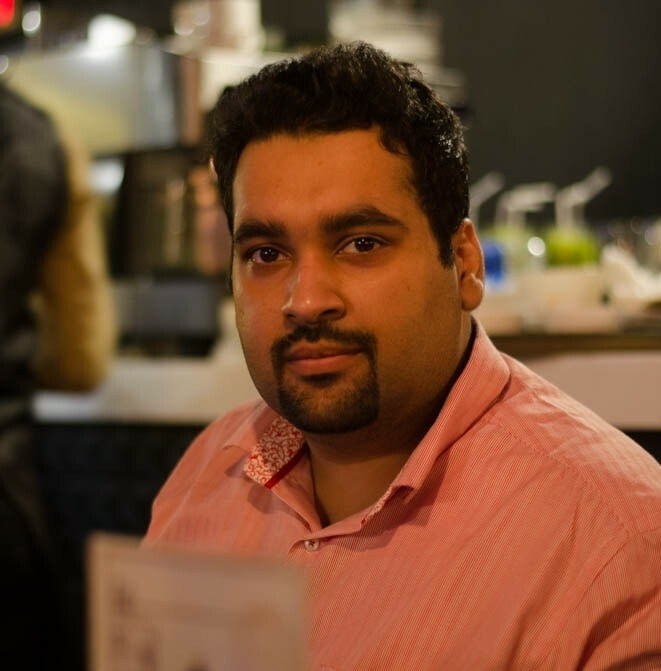 I’ve shared some key elements of earning with Google Adsense program. These factors might seem ordinary tips to consider; but in reality, they are going to play a major role in any publisher’s Adsense income growth. If you’re a beginner who has just got an Adsense account; don’t rush to make dollars by getting involved in any type of clicking activity or other illegal practice. Instead, focus on converting your blog into a brand. Once it becomes a brand, not only will it increase your Adsense earning; but it will also land more opportunities for your blog. What did you learn from this article about earning with Google Adsense? A detailed impressive guide for newbies who wanna start earning through blogging using AdSense. I have been an AdSense publisher from last five year but never got a payment and the reason is just the inconsistency in blogging. I hope this time I will be regular and earn some bucks. Thanks a lot Ali bro. Really very informative , would you like to tell me mini number of posts for adscense. Thank you Usman! There is no minimum, all you just need is quality posts, some social media shares and few backlinks before you apply for adsense, good luck! Your’s welcome Zeeshan, glad you liked it. Your explanation is great. It’d really help me a lot. I will keenly look into this to improve my Adsense earnings.